The Belt and Road Initiative (BRI), also known as the One Belt One Road (OBOR) or the Silk Road Economic Belt and the 21st-century Maritime Silk Road, is a development strategy adopted by the Chinese government involving infrastructure development and investments in 152 countries and international organizations in Europe, Asia, Middle East, Latin America and Africa. The paramount leader of the People's Republic of China, Xi Jinping, originally announced the strategy during official visits to Indonesia and Kazakhstan in 2013. 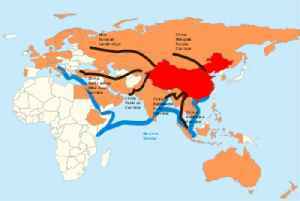 "Belt" refers to the overland routes for road and rail transportation, called "the Silk Road Economic Belt"; whereas "road" refers to the sea routes, or the 21st Century Maritime Silk Road. 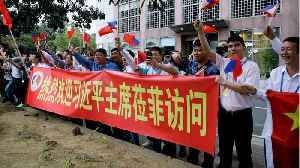 Until 2016 the initiative was officially known in English as the One Belt and One Road initiative but the official name was changed as the Chinese government considered the emphasis on the word "one" as being prone to misinterpretation. 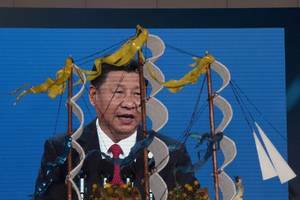 China president Xi Jinping sought on Friday to ease growing concerns about his ambitious Belt and Road Initiative, vowing to prevent debt risks and saying his global infrastructure project 'is not an..
China's ambassador to Peru said the Latin American country would sign a memorandum of understanding to join the expanding Belt and Road initiative later this week, according to Reuters. Ambassador Jia.. 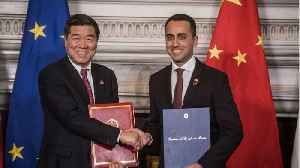 According to a report by Business Insider, Italy has joined China's Belt and Road Initiative, the massive trade project aiming to connect the country to dozens of nations across Asia, Africa, Europe..
Peru will sign a memorandum of understanding to join China's ambitious Belt and Road infrastructure initiative in coming days, China's ambassador said on Wednesday. Thailand's government said it is "making progress" with the much-delayed high-speed Thai-Chinese rail line that is to link Thailand, Laos and China, as the three countries prepared to ink another.. Asked if India's opposition to the BRI would undermine the new momentum generated by last year's informal summit between Prime Minister Narendra Modi and Chinese president Xi Jinping, Wang said the two..
China's Belt and Road project is not a "geopolitical tool" or a debt crisis for participating nations, but Beijing welcomes constructive suggestions on how to address concerns over the initiative, the..